Why do we fuss over our furry friends? 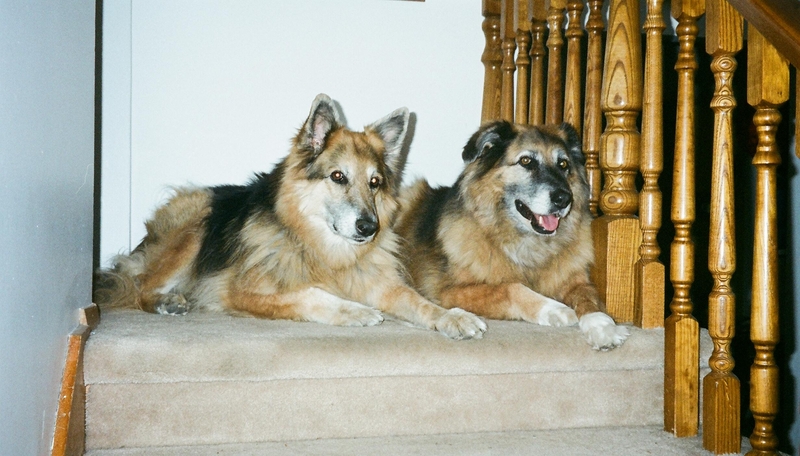 The above photo of Sable, Soda and I was taken 6 months after my husband, John’s, death. Sable was 3 at the time and I’d had her since she was a naughty 7-week-old puppy. Soda was 1 and had just joined Sable and I a few days before this picture was taken. So the photo captures the beginning of our journey through the next decade together…our little pack of 3. Those dogs saved my life. They gave me a reason to get up in the morning. They made me smile when I saw no other reason to. They got me out into nature every day, which is a tremendous healer. 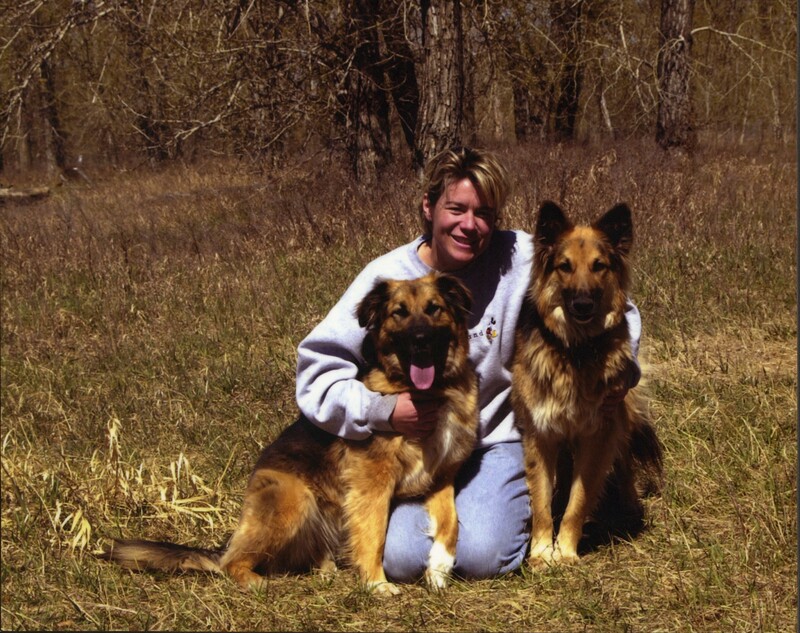 They kept me active…I had to take them for a huge walk each and every day. Mostly, however, they loved me unconditionally through the roughest years of my life. Likewise, they taught me how to love unconditionally. Sable taught me about self-worth. During one of her many health crises in her later years, I remember having to leave Sable overnight in the ICU at the emergency animal hospital. I was just about to exit the ICU when I turned and looked back to see her in her little glass-fronted cage. And she just looked at me and smacked the glass once with her paw. And I did. Thousands of dollars and a few gallons of tears later, Sable came home again – and I had her for another few years. Sable taught me to never settle for anything less than the absolute best, especially when it comes to love. She knew what she was worth. To read the story, Saving Sable, published in CreaturesAll magazine, here’s the link. 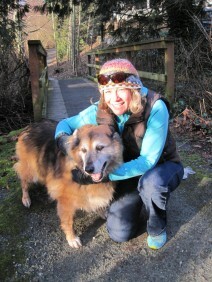 In May 2010, Sable and Soda made the move with me to British Columbia. 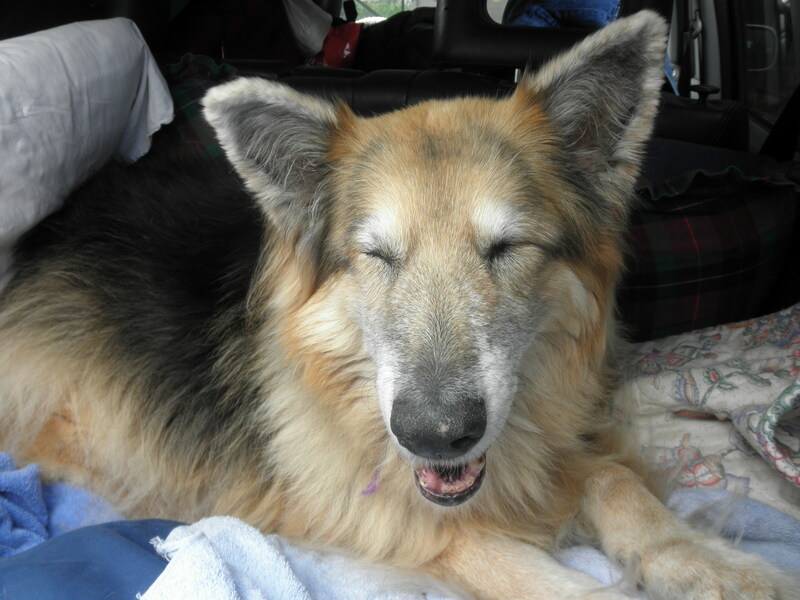 Sable was blind by that time and let me tell you, did I ever learn about patience, acceptance and slowing down. Although putting Sable down damn near broke my heart, I muddled through mainly because I still had Soda to care for – and her to care for me. And then our little pack of 2 had a hoot for the next 3 years! Soda taught me about balance. In December 2013, all hell broke loose when my elderly – and practically immobilized – Mother came to visit over Christmas and required 5 meals a day. 100-pound Soda thought she’d add to my stress level by collapsing with an ailment called Old Dog Vestibular Disease. It’s like vertigo in humans. Soda was so off-balance, she ended up in the emergency animal hospital for 4 days. A few thousand dollars and many tears later, she recovered enough to come home – even though she could scarcely stand on her own. But as I helped her get back on track, I took a good hard look at my own life and realized just how out of balance I was. Three months later, in March 2014, my Mom passed away very suddenly, shortly after hip replacement surgery. Thank goodness I still had Soda to help me through the shock and subsequent grief. But then six weeks later, just a few days after Mother’s Day 2014, Soda had a massive seizure. Then another. And then another. 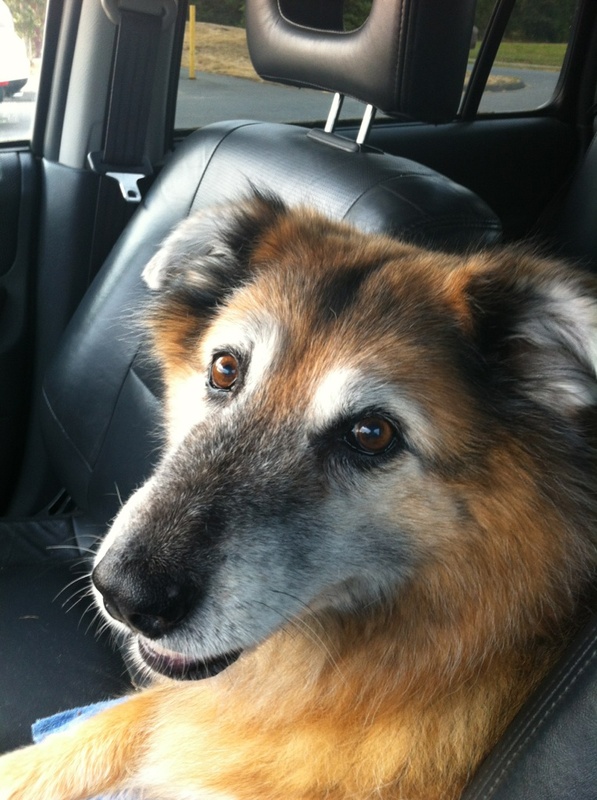 And the time came to say goodbye to another beloved furry friend. 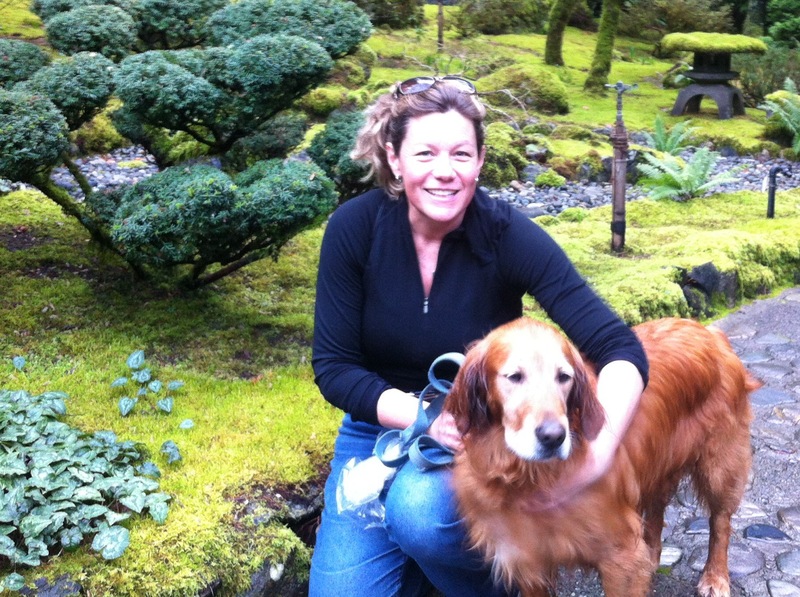 Only this time, I didn’t have another dog – or a Mom – to comfort me. And yet, somehow I made it through…with a little help from my friends of the homo sapiens variety. I lasted 9 whole months before a new fluff-ball found her way to me: Sadie the red-headed Retriever. And why, pray tell, would I set myself up for that heartache again…in less than a decade, if I’m lucky? Because the joy, the love, the fun, the companionship and the lessons are worth every second of the sorrow, frustration, inconvenience and financial cost of pet ownership. Sadie is teaching me about focus. Interestingly, although I’ve only had her 4 months, Sadie seems to be teaching me focus. I’ve never had a Retriever before but believe me, they come by their name honestly. She lives to retrieve the ball and when it’s time to play, her focus on said ball is like a laser beam. She is relentless. And with all the different projects I’ve got on the go right now – several of which are heading into their final stages of completion – focus is the only way I’m going to accomplish what I need to. However, as I also learned with Sable and Soda, Sadie seems to be a bit of a mirror to me at times. For just as I sometimes find it hard to turn off and chill out, so, too, does Sadie have a difficult time not chasing the ball. So that’s my job as her Momma: I’m learning that sometimes I just have to say NO and put the damn ball in the fridge…and then she knows its rest-time! Next week’s Mothering Matters blog will be Baby on Board – Career Path Detour Ahead by Sarah Hourihan. And if you missed last week’s Mothering Matters blogs, here’s the link to: Getting to the Heart of the Matter – To Be or Not To Be…A Mom?